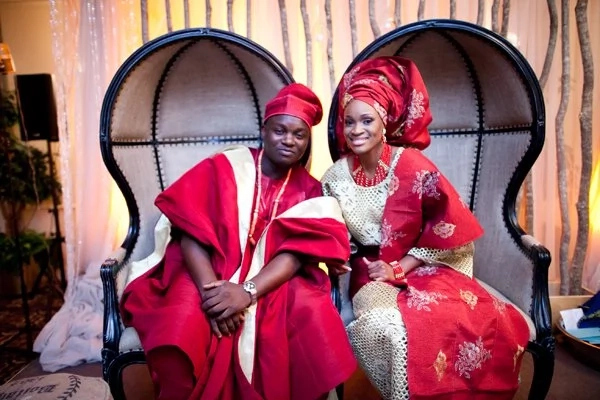 It’s an erroneous belief that igbo traditional marriage list is too much and very expensive. 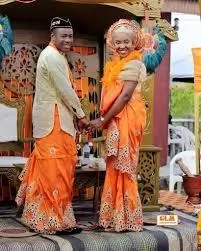 But in a normal sense, the igbo traditional marriage rite is not that complex compare to other Nigeria tribes. high, but that is a completely lie because this depends on some families agreement and generally what the prospective in law agree to pay. To marry an igbo girl it is very important to start planing early in other to fulfill all the essential traditional requirements in igbo. The process involves different stages. bride price in anambra state. First the future husband find the girl he wants to marry and tell his parents. He is then accompanied by his siblings, family members and his parents.A date is then issued for both family to meet.The future husband to-be’s father will then state their intension during the meeting.The groom father and his relatives will not expect the family of the bride to-be to give them negative or positive answer.They will schedule a date during the meeting to meet again. Before the next meeting proper investigation are to be carried out to see if the families are of good character and moral standing in community. On their return to the future wife’s home, the groom’s parents will ask in question that their son wants to ask their daughters hand in marriage.At this point the bride to-be family must have completed their investigation with their daughter and should be ready to give the groom either negative or positive answer.During their return, the groom family will present some gift item such as kola-nuts, palm wine (local brew), dry gin and soft drinks. The presented gift by the future husband family may change depending on the community, town or village, since they are not all alcoholic.The two families will drink and share the foods. In some society the future wife is summoned before the two families visit and ask their daughter if she is interested in getting married to the future husband.If she agrees to marry the man, they will fixed a date for the traditional wedding ceremony called Igba Nkwu.The list that the grooms familys will bring to the traditional wedding ceremony will be complies by the bride family as demanded by the tradition and custom of the land. This are the typically igbo traditional wedding engagement list as shown below. *NOTE: The list is to guide you in budgeting, and please don’t buy them until you receive instruction to buy it from your in-laws that is the custom.Note also that the the list may slightly change from one igbo land to another or from one village to another in the eastern part of Nigeria. * Potash with eight heads of tobacco. *There bottles of ground snuff or cash equivalent . *Two thousand naira gift . (ego ulo-ogwu) This are money for maternity bill. 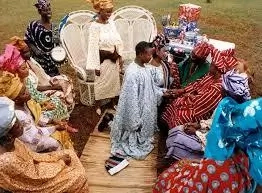 In the last stage of this traditional wedding rites, the future husband will go to the bride with his immediate and extended family, with the above items.Seven good kinds of indigenous dishes will be prepared by the host family to entertain their guests.Both the villagers and communities will drink and eat together.During the ceremony the girl will be ask to give palm wine to her husband, she will do it by kneeling down to her husband.Both the bride and the groom parents and family elders will pray for the newlyweds and for blessing and favour in their marriage.After ward, the family members of both the bride and the groom will dance along side with them.When the traditional marriage ceremony is over, the bride will go home with the family of the groom signifying both as husband and wife.